PBG was founded in 1996 by Mr. Billy Silas who has over 30 years experience in total site development and land acquisition. 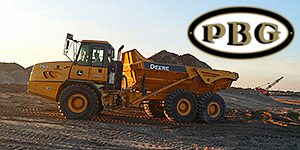 Since that time, PBG has grown into a 400 employee contracting firm that provides complete site development, roadway construction, and public work in the state of Florida. This growth is due in large part to providing quality and expeditious site development services for clients such as Pulte Homes, D.R.Horton, G.L.Homes, ICI Homes, Centex, New Urban Communities, Centerline Homes, and Sembler, Inc just to name a few. Numerous county and city governments have learned to rely on PBG for the safe execution of quality work on many roadways and streets throughout Florida. PBG is pre-qualified to perform work for Florida DOT, City of Jacksonville, JEA, and South Florida Water Management. 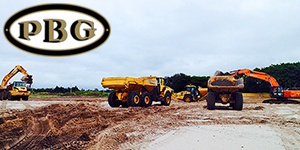 Click below for more information on Palm Beach Grading. Click below for more information on Silas Equipment. 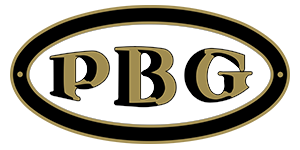 PBG is on YouTube – please see below for some of our recent videos and please click here to visit our YouTube channel.